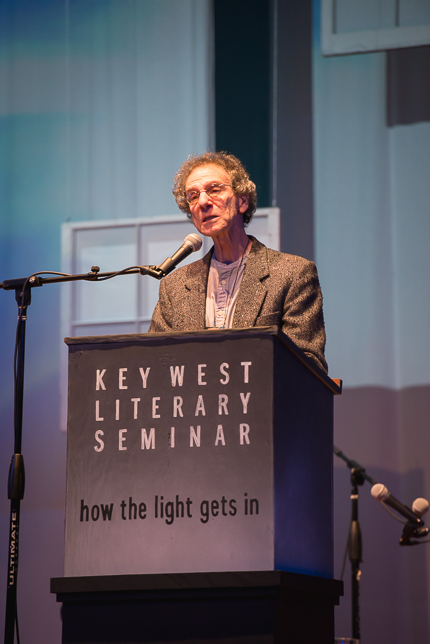 Coverage of the 2015 Seminar: "How the Light Gets In: Literature of the Spirit"
Presenters: A. Manette Ansay, Coleman Barks, Billy Collins, Mark Doty, Patricia Hampl, Jane Hirshfield, Marie Howe, Pico Iyer, Charles Johnson, Wally Lamb, Barry Lopez, Marilyn Nelson, Mary Rose O’Reilley, Robert D. Richardson, Marilynne Robinson, and Steve Stern. Writers’ Workshop Faculty: Paulette Alden, Elizabeth Jarrett Andrew, A. Manette Ansay, Billy Collins, Mark Doty, Jane Hirshfield, Daniel Menaker, Mary Morris, Marilyn Nelson, Susan Richards Shreve, and Lee Smith. The stage setup for the 33rd Annual KWLS. Photo by Nick Doll. Stage details. 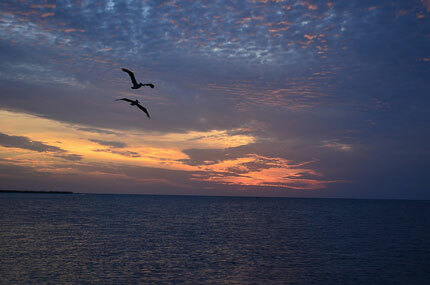 Photo by Curt Richter. 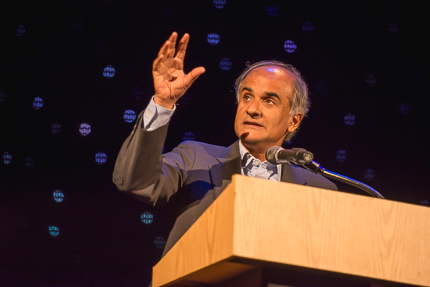 Novelist Pico Iyer during the John Hersey Memorial Address, "Into the Dark". Photo by Nick Doll. "Unbridled Joy: the Paul Winter Consort". Photo by Nick Doll. Seminar attendee, KWLS board member Judy Blume and Matthew Helmerich. Photo by Nick Doll. A reading with poet Marie Howe. Photo by Nick Doll. 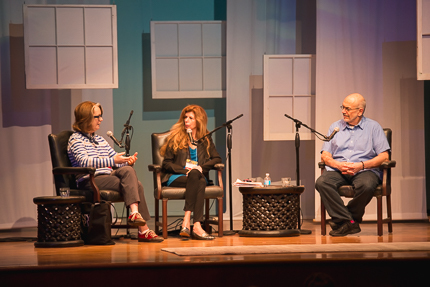 The panel "To Enter the Heart and Mind of the Other", a conversation with Patricia Hampl, Marie Howe, and Wally Lamb. Photo by Nick Doll. "Compassion", a reading with Wally Lamb. Photo by Nick Doll. Poet Marie Howe and author Wally Lamb sign books for seminar attendees. Photo by Nick Doll. Mary Rose O’Reilley during her reading “Stillpoint: the Poem in the Turning World”. Photo by Nick Doll. "What can we really say about Spirit? ", a conversation with Robert D. Richardson and Coleman Barks. Photo by Nick Doll. “The Plate-Spinner”, a reading with Steve Stern. Photo by Nick Doll. The panel "La Noce Oscura" with Mary Rose O'Reilley, A. Manette Ansay and Pico Iyer. (Photo by Nick Doll. A poetry reading with former Poet Laureate Billy Collins. Photo by Nick Doll. A book signing with former Poet Laureate Billy Collins and author Coleman Barks. Photo by Nick Doll. Executive Director Arlo Haskell during Saturday morning's welcome address. Photo by Nick Doll. Former Poet Laureate of Connecticut, Marilyn Nelson. Photo by Nick Doll. (L-R) Writer Patricia Hampl with poets Marie Howe and Jane Hirshfield. Photo by Nick Doll. Novelist A. Mannette Ansay. Photo by Nick Doll. The panel "Faith & Doubt" with Marilyn Nelson, A. Mannette Ansay and Patricia Hampl. Photo by Nick Doll. Poet Mark Doty. Photo by Nick Doll. Novelist A. Mannette Ansay with poet Marilyn Nelson during a book signing. Photo by Nick Doll. Novelist Patricia Hampl. Photo by Nick Doll. The crowd during the panel, "Exploring the Past". Photo by Nick Doll. The panel "Exploring the Past" with Mark Doty, A Manette Ansay and Patricia Hampl. Photo by Nick Doll. A book sale during the 33rd Annual KWLS. Photo by Nick Doll. Novelist Charles Johnson during his reading "Reflections on Politics, Race, Culture and Spiritual Practice". Photo by Nick Doll. Pulitzer Prize winning author Marilynne Robinson during her reading, "Grace". Photo by Nick Doll. Pulitzer Prize winning author Marilynne Robinson signs her book, "Lila" for a seminar attendee. Photo by Nick Doll. Seminar attendee John Lloyd (center) with 2015 Emerging Writer Award winners Chaney Kwak (left) and Jay Deshpande. Photo by Nick Doll. 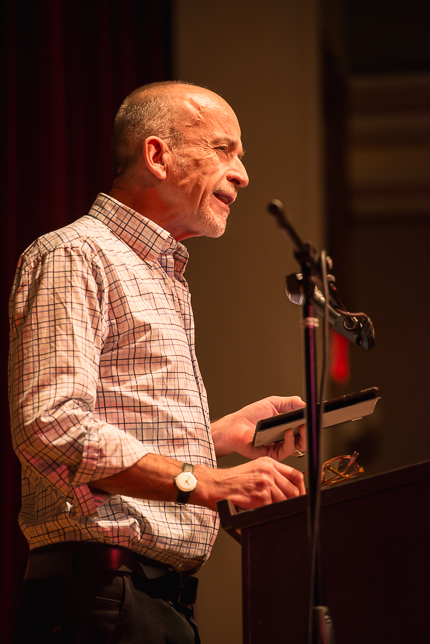 Writer Robert D. Richardson during his reading, "Upstream with the Transcendentalists". Photo by Nick Doll. 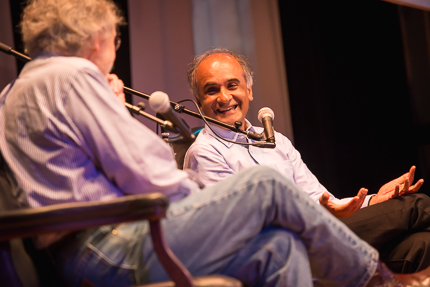 Novelists Barry Lopez and Pico Iyer during the panel, "Wonder: Entering and Exiting the Great Mystery". Photo by Nick Doll. Poet Coleman Barks during his reading, "Sunday Morning Love Poems". Photo by Nick Doll. 2015 Emerging Writer recipient Jay Deshpande. Photo by Nick Doll. Photographer Curt Richter with Pulitzer Prize winning writer Annie Dillard during a reception. Photo by Nick Doll. 2015 Emerging Writer recipient Joshua Bodwell. Photo by Nick Doll. 2015 Emerging Writer recipient Chaney Kwak. Photo by Nick Doll. Poet Jane Hirshfield during her reading, "Of Latchless Amplitudes". Photo by Nick Doll. (L-R) Mary Rose O'Reilley, Marilyn Nelson, Charles Johnson and Marie Howe during the panel, "The Language of Spirit". Photo by Nick Doll. Novelist Pico Iyer during his book signing. Photo by Nick Doll. KWLS Technical Director Ian Rowan toasts at a reception. Photo by Curt Richter. Pulitzer Prize winning writer Annie Dillard with novelist Pico Iyer at a reception. Photo by Curt Richter. Executive Director Arlo Haskell addresses the crowd during a reception. Photo by Curt Richter. 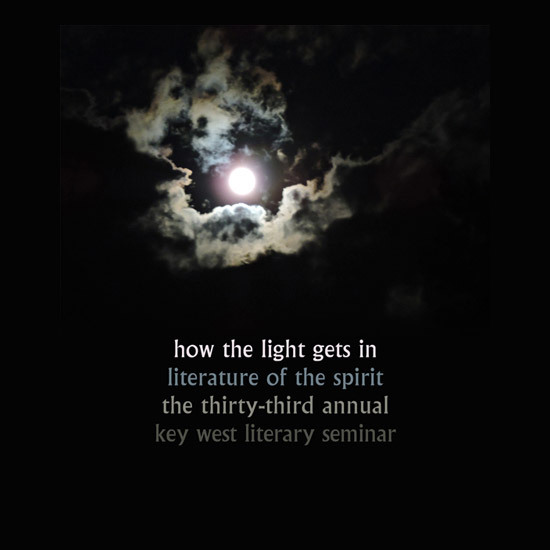 “How the Light Gets In: Literature of the Spirit” began Thursday night with a marquee music-and-poetry performance featuring the Paul Winter Consort. All photos by Nick Doll. 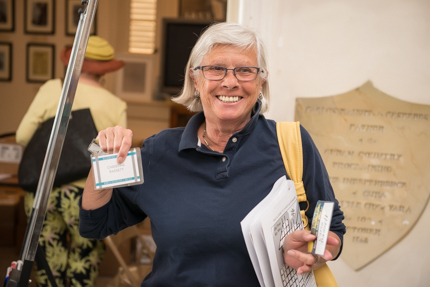 Registrants for the 33rd annual Seminar began checking in at the San Carlos Institute on Thursday afternoon before climbing aboard trolleys for the ride to the Tennessee Williams Fine Arts Center. Images of the opening night readings and concert coming soon… All photos by Nick Doll. What Can We Really Say About Spirit?